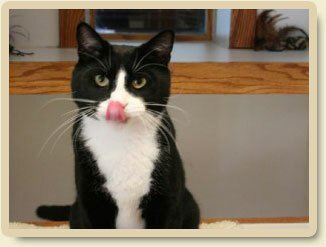 All of our feline guests are fed premium veterinarian recommended cat food during their stay. You’re welcome to provide your pet’s regular food if you choose. We recommend packing each serving separately in sealed bags. Arrangements can be made if your pet is on a specific feeding schedule or has special requirements. A small service charge may apply. It is recommended you limit the amount of food you provide your pet on the day of check-in due to the natural excitement your pet may experience upon arrival at the Inn. Likewise, food and water should be limited for the first hour or two after your pet arrives home. This will allow your pet time ample time to settle in before feeding.